Break out your best Feeny call. William Daniels says he will return for season three of the Disney Channels series Girl Meets World. 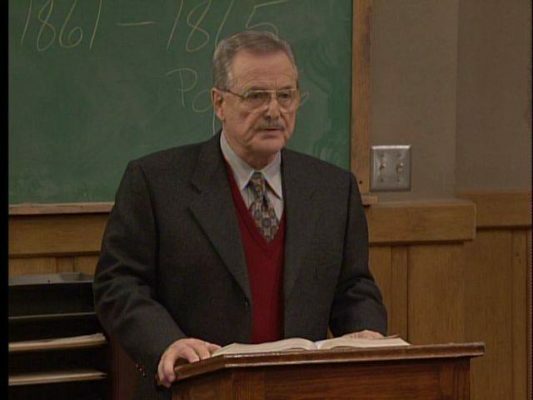 Daniels originated the role of Mr. Feeny on the ABC sitcom Boy Meets World. He has already appeared in three episodes of the spin-off series, which stars Ben Savage, Danielle Fishel, and Rowan Blanchard. Season three of Girl Meets World premiered earlier this month. What do you think? Are you a fan of Mr. Feeny? Do you watch Girl Meets World?